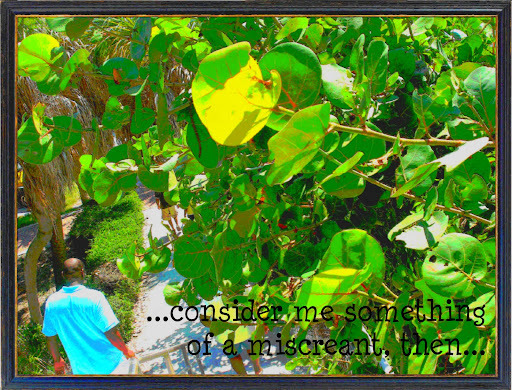 ...consider me something of a miscreant, then...: Why Black men and not Black women? I have a question for whomever wants to answer it: why do Black women hold Black men to impossible standards? In this case, I mean one standard in particular: interracial relations. Now, let me first clarify by saying that I technically can only speak on behalf of myself, since I'm very well aware of the fact that there are plenty of Black women who may disagree with me. But, in that speaking on behalf of myself, I'm going to speak on behalf of something I have noticed. That being said, I also have a very special place in my heart for Black men. (And by "Black" here I mean African-American. They are not one in the same, so I wanted to clarify.) I love to see them do well. I want to see them do better. I have tried to guide some of the young Black men I've come across, and Lord knows I've loved me a couple of Black men. My father is a Black man and without him, there'd be no me. But... that all being said about my special place for Black men, there's another special place in my heart reserved for another kind of man. In fact, this place isn't even reserved solely in my heart, but it's more like in that fleshy, soft, tender skin behind my kneecap. A weakness, you could say. An intense infatuation. I've got a thing for Hispanic men. As a child, I can remember having a fascination for two cultures: my own, and that of Hispanic culture. At the time, the most exposure that I had was Ricky Ricardo on "I Love Lucy" but it was still exposure, and I was still transfixed. I can remember enjoying when he would break into Spanish at the drop of a hat and then go back to speaking English. I loved the music. The drums. The costumes. The mythical place he spoke of called Cuba. As I grew older, I found myself infatuated with other cultures as well (I've got me a thing for the cultures of the Romance languages), but the base of my childhood interest was in my own far-reaching roots, and, not long after, that of Hispanic roots as well. My first love being Dominican clearly cemented such interest. That all established, if I was a Black man, would I have that privilege? The same best friend who made the joke about me not getting up with an AA man to save my life, is the same best friend (who is a strikingly intelligent young AA male) who was joking with me one day about being infatuated with a white girl, and though I legitimately consider myself as someone who doesn't care who someone dates, I will be 100 and admit that it bothered me. The thought of my strikingly intelligent, ridiculously handsome, young, promising, Black male friend getting up with a white girl bothered me. I even asked him if she was blond. God forbid if she was blond. Is it right to feel this way? (No.) Why do I feel this way? (That's up for debate.) Why is it that I could feel uncomfortable with my friend even joking about being infatuated with a white girl, but I don't consider it a problem--and no one else seems to, either--to be infatuated with, lust after, and even fall in love with Hispanic men? Why is it that I can think of wanting to have brown-skinned babies who speak English from their mom, and Spanish from their dad without feeling any trace of awkward obligation toward Black men, but I know if the tables were turned and my friend expressed this same desire with a white female, I'd feel some kind of way about it? Is it simply that it's okay for me, as a Black woman, to want to venture out of my own box, but I want to keep Black men firmly in that box, vowing to be attracted only to women who resemble me? Is it because "exotic" women are trendy and I'm not exotic? Is it the need for me to be in control that causes this need for me to be able to walk away but not be walked away from? What causes it to become such a personal issue? *--So, say ye, you don't practice this, right? Okay. Let's see. Say we have Sanaa Lathan and Taye Diggs, two should-be-well-enough-known-I'm-sure-you've-seen-them-before-in-some-damn-movie Black actors. (They are the first two that popped in my head.) So, take Sanaa's role in Something New, the movie that deals with a lot of what we're talking about. (She falls for a white male.) Now, the vibe of that movie is all like "you go, girl, you try something new and get you that white man who treats you right and is not looking at color." Great, right? Still supports your idea that this doesn't affect you, right? Alright. Let's switch Sanaa for Taye, and Simon Baker for some blond actress. Now, you tell me just how many of you and your friends would pay money to go watch a movie about Taye Diggs getting caught up with some blond girl. I can tell you right now, I'd probably catch it on DVD. Now, if this paragraph did nothing to you or for you, then I am clapping my hands for you. But I know there are people who would read this here paragraph, and have the same resistance inside your spirit that I felt writing it. I understand the resistance is incorrect; my desire is to understand what the cause of the resistance is. Because it's there. Oh yes, it's there for real. I miss having these talks!! Every time I read your blog, I finish it wishing that you and I were in the same room, and could have an intelligent conversation about it. It seems that Anthony's family had those feelings. I don't know how many times they told Anthony that he should go ahead and dump his white girlfriend and find himself a nice black girl. And I do think that being blond makes it worse. Reading this leads me to ask you (and be honest now!!) if it bothered you, even on a subconscious level, to find out that I (your blond roommate) was dating a Black/AA man. And if getting to know the both of us changed things, or if it is a deep-rooted discomfort? Also, as kind of a fun side note, Taye Diggs is married to Idina Menzel, who I believe is either "white" or Hispanic (I don't remember which). You know what's funny? I think it would become less of a checkmark and more of a "hmph" (sound that represents resentment) if I felt some type of attraction toward the Black male at hand, or if I felt like they would be someone that could fit into the type of dude I would like to be with, hence, the example of my friend. Then enter the complexes, like the "am I not what you want?" complex. It's a very sticky subject; one that people know exists, but rarely discuss in an objective manner. I'd like to figure out the root of it all, truthfully. For me, it had to have been handed down from somewhere, I would think, and maybe that's why it still exists, due to this continual handing down of a racial cross to bear. Who knows. And ha! I knew Taye Diggs was married to her, but completely forgot about it when I wrote that blurb :) I miss you! !